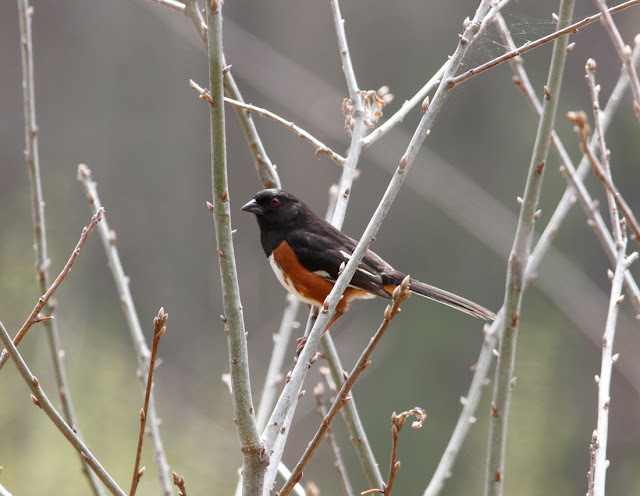 MA - migration surge at the end of April. 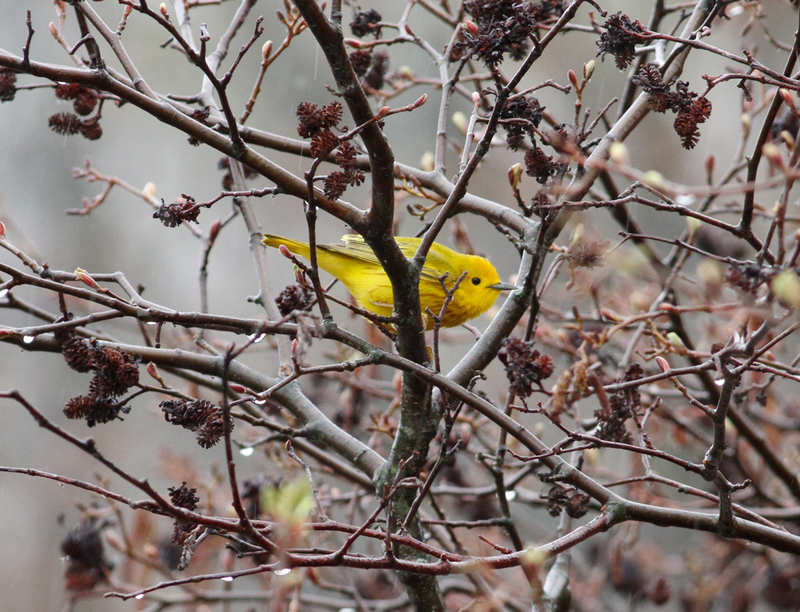 Yellow Warbler - male, Turner's Falls Rod & Gun club, Franklin Co., MA. April 25th, 2017. My first of the year, but already widespread after the 26th. Unfortuanely, I haven't had a lot of time for blog posts this month but it's certainly been lively in Gill and the surrounding towns with widespread arrivals of American Kestrel, Hermit Thrush, Pine Warbler, Yellow-bellied Sapsucker, Brown Thrasher, Eastern Towhee, Field and Swamp Sparrows and Purple Finch. A broad 'wave' of Ruby-crowned Kinglets passed through Gill on th 17th - 19th and thier rapid-fire warbling songs were common sounds in the woods and yards. I estimated at least 30 in Gill alone on the 18th. With them came th first Blue-headed Vireos and Blue-gray Gnatcatchers. Eastern Towhee - male, Montague, Franklin Co., MA. April 30th, 2017. Solitary Sandpiper - Hell's Kitchen, Northfield, Franklin Co., MA. April 30th, 2017. Louisiana Waterthrushes first returned on the 11th, earlier than my first last year, with singing males already widespread by the 14th/15th. Despite being absent through the fall and winter, it was really great to hear two Winter Wrens singing off North Cross Road throughout the first two weeks of the month, with another at the Turner's Falls Rod & Gun club on the 25th, and one off Hoe Shop Road on the 29th. A House Wren singing from a yard on Boyle Road, Gill on the 13th was also earlier than average. 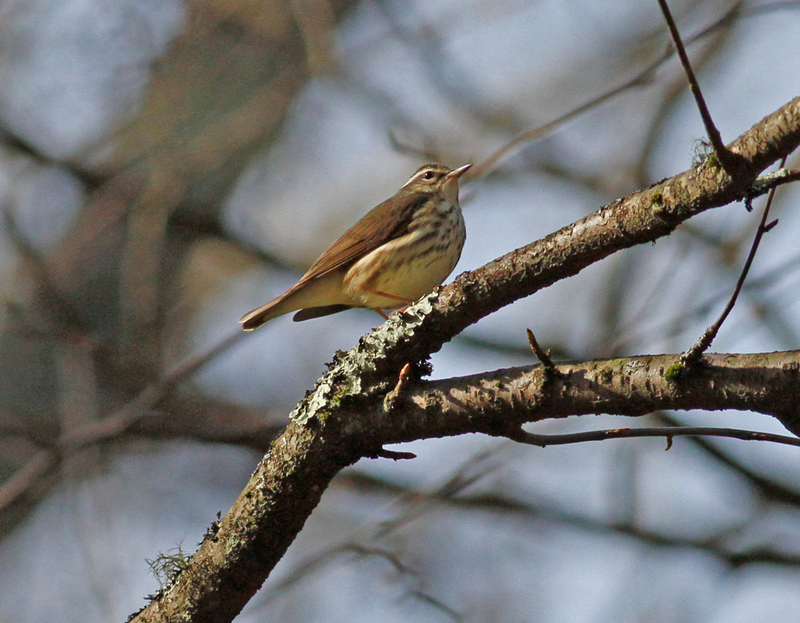 Louisiana Waterthrush - male, Gill, Franklin Co., MA. April 11th, 2017. First of the year and quite early but more widespread from the 14th with 20+ singing male in the Gill area alone. Other early migrants included Baltimore Orioles in Old Deerfield on the 24th and Gill Elementary on the 25th, plus a Yellow Warbler singing at the Turner's Falls Rod and Gun Club on the 25th, and a Black-and-White Warbler in Gill Center on the 26th. Barton Cove has been 'heaving' with migrant swallows on rainy or heavily overcast days with large numbers of Tree, Northern Rough-winged and Barn Swallows, with a few Bank Swallows appearing from the 25th. Similar conditions have also produced a few single Bonaparte's Gulls throughout the month plus pairs of Long-tailed Ducks on the 5th and 19th. 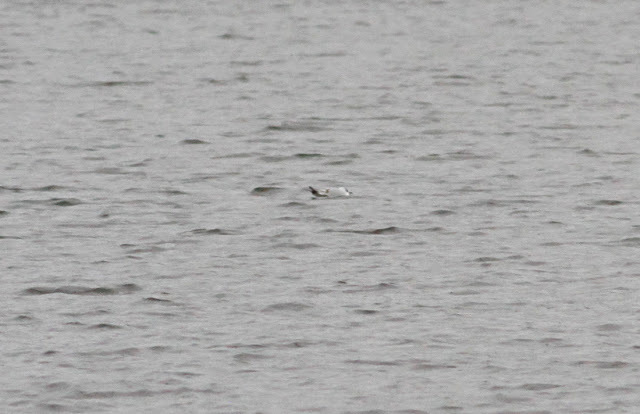 Bonaparte's Gull - first-summer, Turner's Falls Rod & Gun club, Franklin Co., MA. April 25th, 2017. Northern Rough-winged Swallows - Turner's Falls Rod & Gun club, Franklin Co., MA. April 25th, 2017. 27th; Least Flycatcher singing near West Gill Cemetery plus widespread influx of Black-and-White Warblers and House Wrens throughout Gill. Also of note, Barred Owl pair dueting for about two hours solid in Northfield from 21:00hrs. Least Flycatcher - Gill, Franklin Co., MA. April 27th, 2017. Quite early with three more heard in Gill on the 29th. 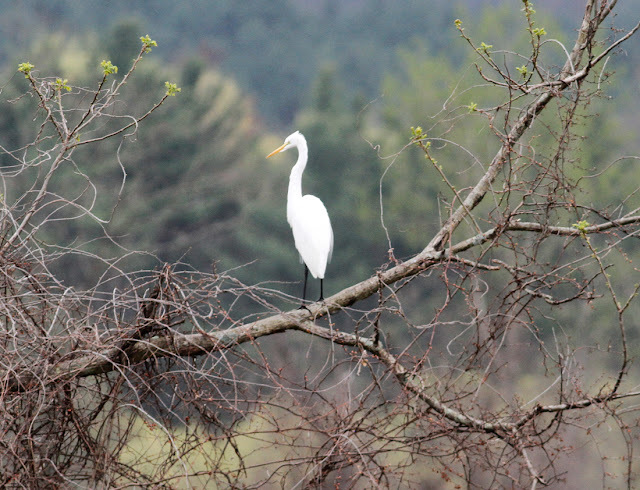 28th; Remarkable day - A Great Egret by the CT River in Gill. My first spring record. A Snowy Egret at Turner's Falls Road & Gun club, courtesy of a text from Eric Huston - my first ever in Franklin County since I began observations in 2005. 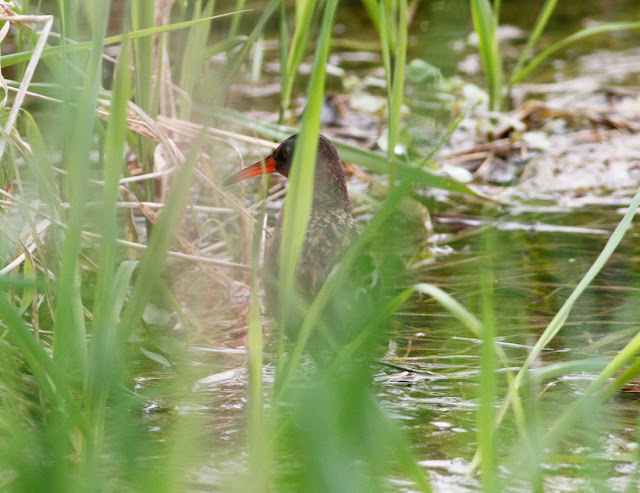 Also four or five Virginia Rails in a small wetland in Gill and a slew of year-firsts including Ruby-throated Hummingbird, Wood Thrush, Common Yellowthroat, Northern Waterthrush and Rose-breasted Grosbeak. Barred Owl calling throughout the morning on River Road, Gill. Great Egret - Gill, Franklin Co., MA. April 28th, 2017. Unusual in spring, more typically seen around Barton Cove in mid to late summer. Virginia Rail - Gill, Franklin Co., MA. April 28th, 2017. Not easy to find in Franklin County but probably overlooked. 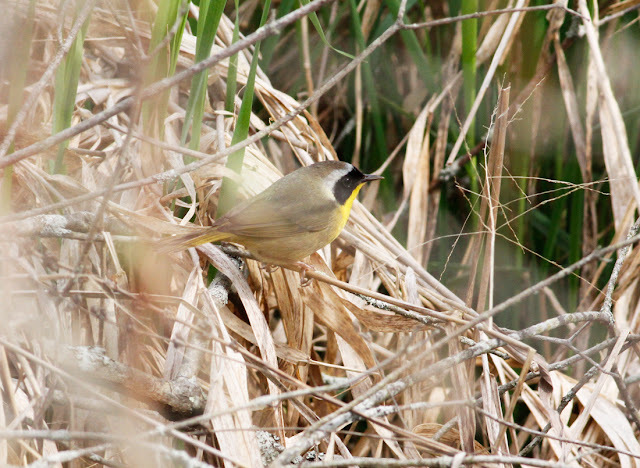 Common Yellowthroat - male, Gill, Franklin Co., MA. April 28th, 2017. Great Blue Heron - Gill, Franklin Co., MA. April 28th, 2017. 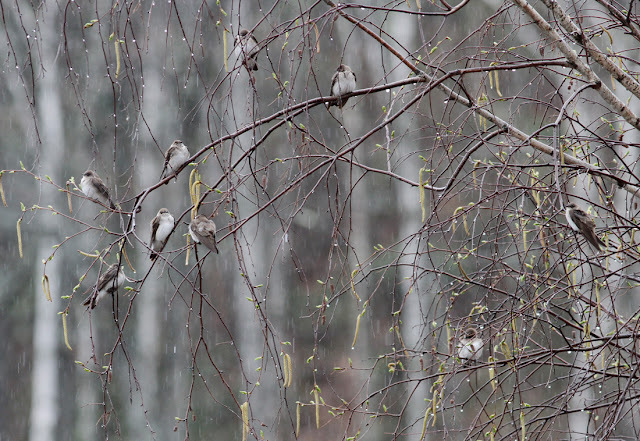 29th - Sudden mass arrival of Ovenbirds with 20+ heard on an 11 mile bike ride around Gill. Also, several Black-throated Green Warblers and a Warbling Vireo at Gill Elementary school. 30th - Chimney Swifts arrive in numbers at Barton Cove. 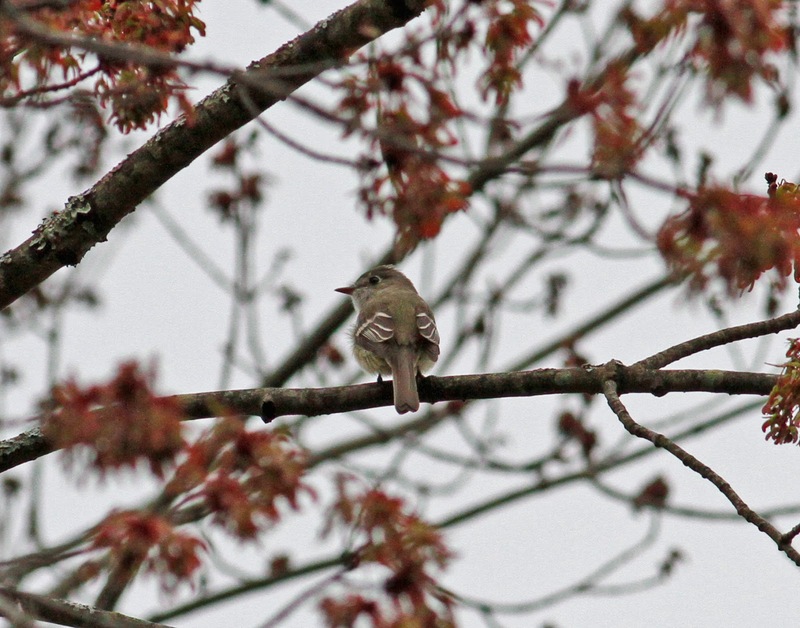 Eastern Kingbird and a very early Willow Flycatcher just east of Main Road, Gill at the NMH campus. Several Prairie Warblers and Red Crossbills at Monatgue Plains plus a very vocal Red-shouldered Hawk. 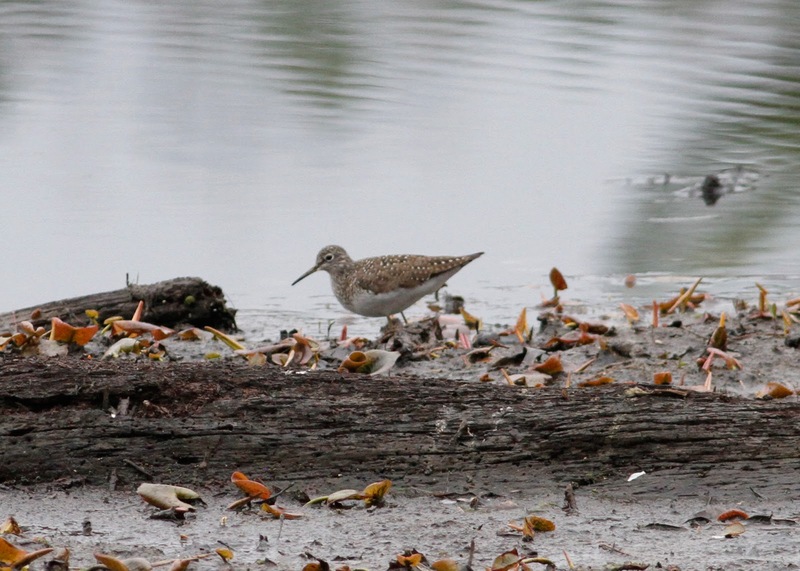 Nice shorebird viewing at Hell's Kitchen in Northfield with 7 Solitary, 5 Spotted and 3 Least Sandpipers, 4 Killdeer and 2 Lesser Yellowlegs.....(courtesy of Eric Huston). 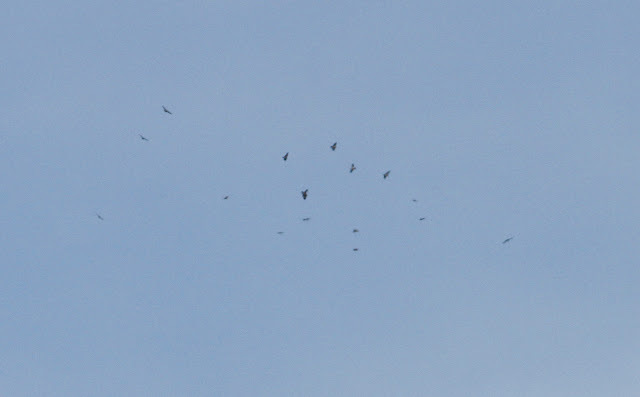 Broad-winged Hawks - small flock forming over farm fields, River Road, Gill, Franklin Co., MA. April 24th, 2017. Eventually, I tallied 225 over a period of minutes. April 24th was a gorgeous, warm spring day in Western Mass with winds in the southern quarter throughout the day. After dropping Matan school I opted for a quick drive along River Road in Gill and stopped for what should have been a five minute stroll along the fields. 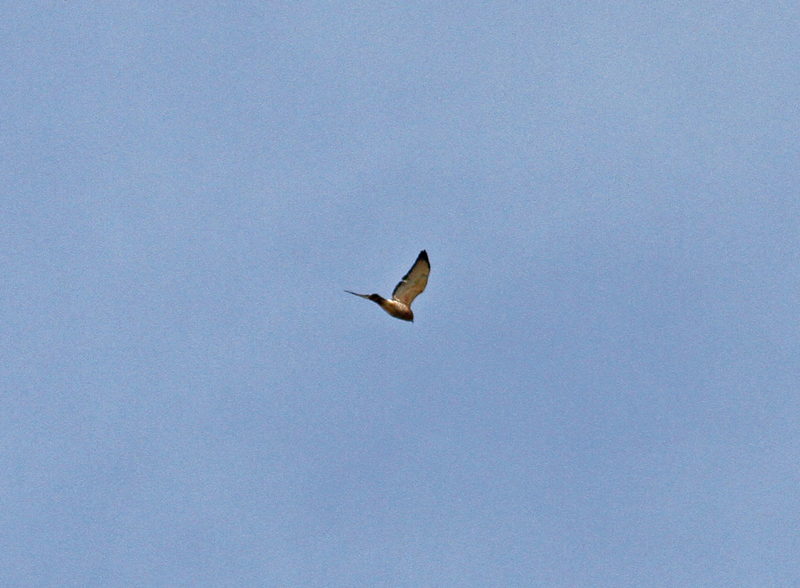 A quick scan above the treeline produced a couple of soaring Broad-winged Hawks. Rather too quickly I assumed they were recently arrived local breeders. 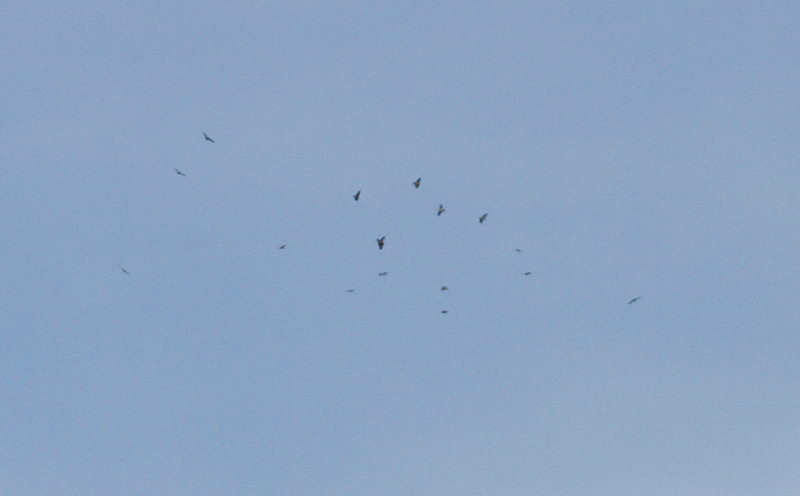 Minutes later, a small kettle of 8, then 12 Broad-wings formed in the same spot where the previous two birds had been. From that moment on, the following 90 minutes saw an excellent northward migration of Broad-winged Hawks along the Connecticut River in Gill. Several other species enjoyed the warm air and favorable conditions and by the end of the 90 minutes I'd logged; 5 Common Loons (all in breeding plumage), 4 Double-crested Cormorants, 12 Turkey Vultures, 5 Sharp-shinned Hawks, 2 Merlins, 2 Ospreys and 225 Broad-winged Hawks. The latter included several large kettles of up to 42 birds and was easily the most intense migration of raptors that I've seen in Gill. 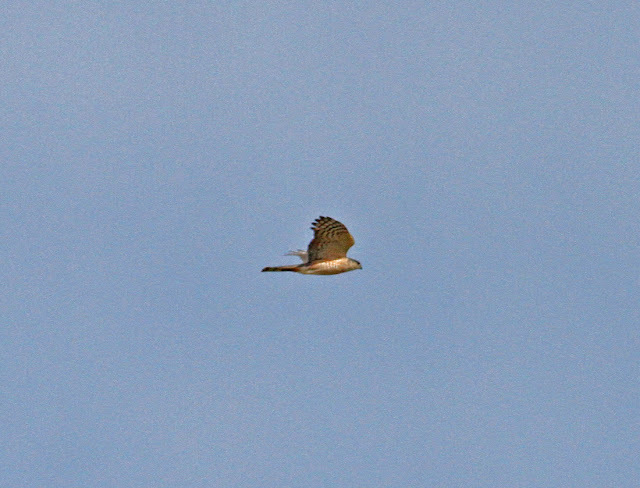 Sharp-shinned Hawk - northbound over farm fields, River Road, Gill, Franklin Co., MA. April 24th, 2017. Broad-winged Hawk - over farm fields, River Road, Gill, Franklin Co., MA. April 24th, 2017. A fantastic morning for this species in Gill with some kettles containing up to 42 birds. 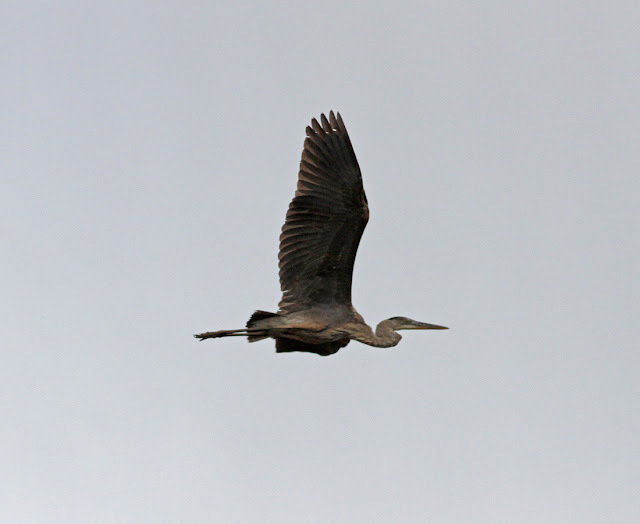 The closer birds, like this one, moved through incredibly quickly. Common Loon - northbound over farm fields, River Road, Gill, Franklin Co., MA. April 24th, 2017. 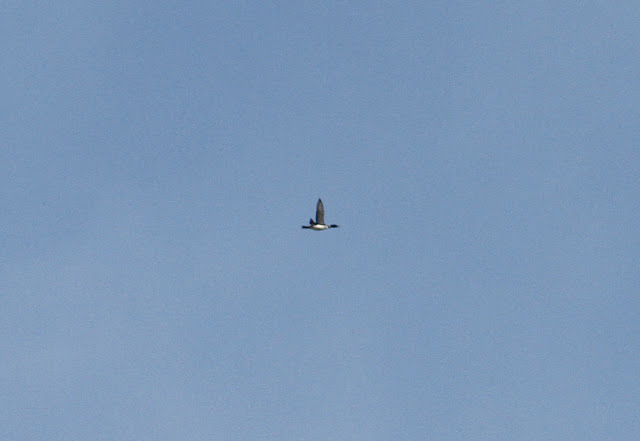 I rarely see Common Loons away from Barton Cove, so to have a five in a morning (all breeding plumage birds migrating north) was certainly notable for the Gill area.